Originally published on INMAN.com on January 6, 2018. 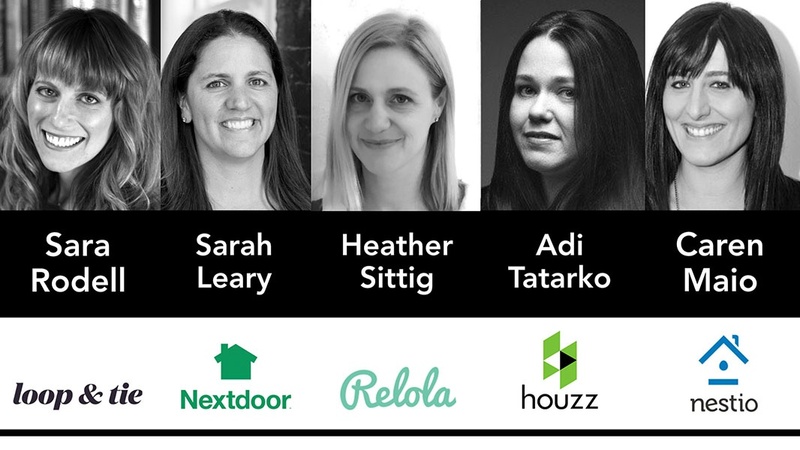 You don’t have to look far to find women in real estate tech who are shaking up the world and making things happen. We collected 19 names that you should be keeping tabs on. Caren Maio, co-founder and CEO, Nestio, which is an online leasing platform that streamlines the rental process, promising to rent apartments faster. An NYU graduate, Maio was previously in sales and marketing at The Wall Street Journal and Nike. Sara Rodell, founder, Loop & Tie, which is an automated gift-giving platform that enables agents to streamline ordering and delivering customers gifts. A University of Virginia graduate, Rodell was previously in sales at UBS. Adi Tatarko, co-founder and CEO, Houzz, which is a leading home remodeling and design platform, providing everything people need to improve their homes. A graduate of Hebrew University, Tatarko has been an entrepreneur and a financial advisor. Heather Sittig Jackson, co-founder and CEO, Relola, which is a social platform for agents to share their expertise with buyers and sellers. A University of Washington graduate, Jackson was previously a real estate brokers for several large franchises and independent firms. Sarah Leary, founder, Next Door, which is a neighbor-to-neighbor platform that connects communities and makes them safer. A Harvard MBA, Leary previously worked for Shopping.com, Fanbase and Epinions. Constance Freedman, founder and managing partner, Moderne Ventures, which is an early-stage venture fund investing in technology companies in real estate. A Harvard MBA, Freedman previously ran the National Association of Realtors’ venture fund. Laura Brady, president and co-founder, Concierge Auctions, which is an online auction marketplace for high-end luxury properties. A University of Texas graduate, Brady previously worked in marketing for the Neiman Marcus Group. Nicole Hamilton, founder and CEO, Tactile Finance, which is a content application that helps consumer navigate the mortgage process. A 15-year technology veteran, Hamilton previously worked in enterprise software. Karin Brandt, co-founder, coUrbanize, which is an interactive city development platform that helps communities and developers work together through online feedback from residents. A MIT graduate, Brandt studied urban planning before launching her new startup. Jean Brownhill Lauer, founder and CEO, Sweeten, which connects homeowners with renovation projects to local design and construction professionals. A Harvard School of Design Graduate, Lauer previously was Senior Manager of Global Architecture at Coach. Melissa Kwan, founder, Spacio, which offers a digital open-house product allowing agents to better capture and convert leads. A University of British Columbia graduate, Kwan’s previous startup was Flat World Applications. Kathleen Wainwright, founder, Broker Think Tank, which is agent-to-agent home listing promotion and market insight software. A St. Edwards University graduate, Wainwright was a real estate agent and broker in Austin, Texas. Lindsay McLean, founder, Homelister, which is a new mobile flat-fee listing service for homesellers. A Wharton MBA, McLean previously worked in banking and real estate. Riti Verma, founder and president, RankMyAgent, which is an online platform that connects real estate agents to consumers by using realtor reviews. A University of Toronto graduate, Verma is a licensed real estate agent and previously was in technology research. Mallorie Brodie and Lauren Lake, co-founders, Bridgit, which is punch-list software for commercial and residential developers, making construction sites more efficient. A graduate of the Richard Ivey School of Business, Brodie has launched ecommerce businesses. Lake is a civil structural engineer and an expert in concrete restoration. Jude Rasmus, co-founder, Virgent, a flat-fee real estate agency that provides technology tools to home sellers. Rasmus has 25 years of experience as one of the nation’s top real estate agents. Lynn Leegard, co-founder, Trust Funds, which provides an online tool for consumers to safely track earnest money deposits. Leegard is a real estate broker and attorney with twenty years of real estate experience.